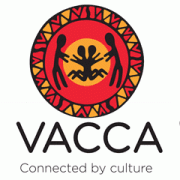 As part of a new initiative funded by the Victorian State Government through the Department of Health and Human Services, you will be working in a critical role to support Aboriginal children and young people living in out-of-home care maintain and develop their connection to their Aboriginal cultural and community. Your work will include assisting care teams with the development, assessment, and review of cultural plans to ensure they meet the cultural needs of Aboriginal children and young people. You will build connections between care teams and Aboriginal communities and recommend to senior management the endorsement of cultural plans. You will play a lead role with local child protection and mainstream agencies to increase the awareness of, and participation in Aboriginal cultural activities by Aboriginal children and young. You must have and continue to hold a full Victorian Driver’s Licence and a current employment working with children check card. Ability to perform responsibilities that involve cultural planning for Aboriginal children residing in out-of-home care. Demonstrated ability to work with Aboriginal children and their families in a complex environment to gather and analyse information that promotes development and implementation of their cultural plan. Ability to build professional networks across a range of organisations and individuals to promote collaborative working groups that focus on meeting the best interests of vulnerable Aboriginal children and young people. If you would like to be part of an Organization that strives in strengthening the safety and wellbeing and cultural connectedness of Aboriginal children, individuals and families in their community, we want to hear from you. Please quote in application: Senior Advisor – Aboriginal Cultural Planning via Pro Bono Australia.